I’ve been going shopping CRAZY recently and have picked up a few things that I feel I’ll be able to keep forever with me even when I move to Birmingham! I went to TK Maxx and found nothing that I liked and again with Dorothy Perkins, felt the same way! The clothes hall section will start from River Island as I found some lovely pieces there today!! I don’t usually shop in the sale rails but today I think I found some lovely bits!!! The first thing I noticed was this AMAZING dress! 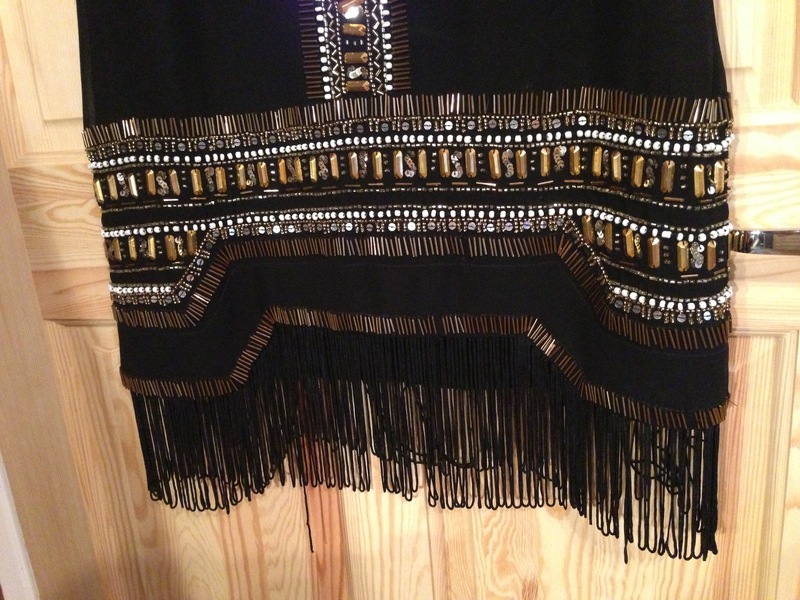 I love the beading on it an the cut is FANTASTIC! 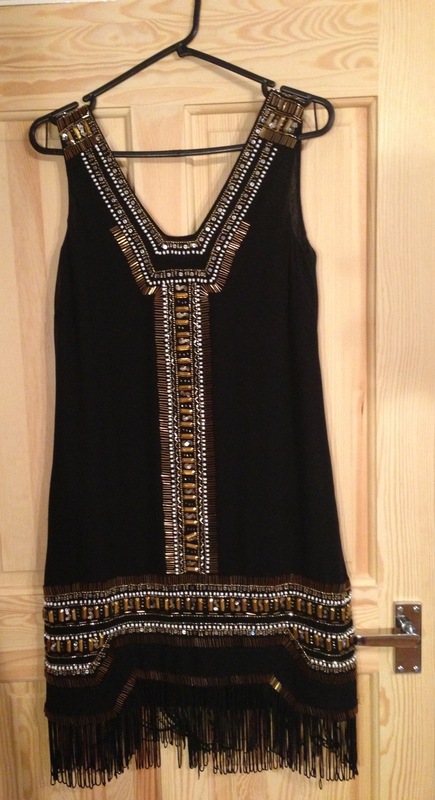 I love intricate beading and the style of this dress is beautiful! The colours are y favourite and I loved it as soon as I saw it! I love the dangling detail and the cut at the bottom of the dress! 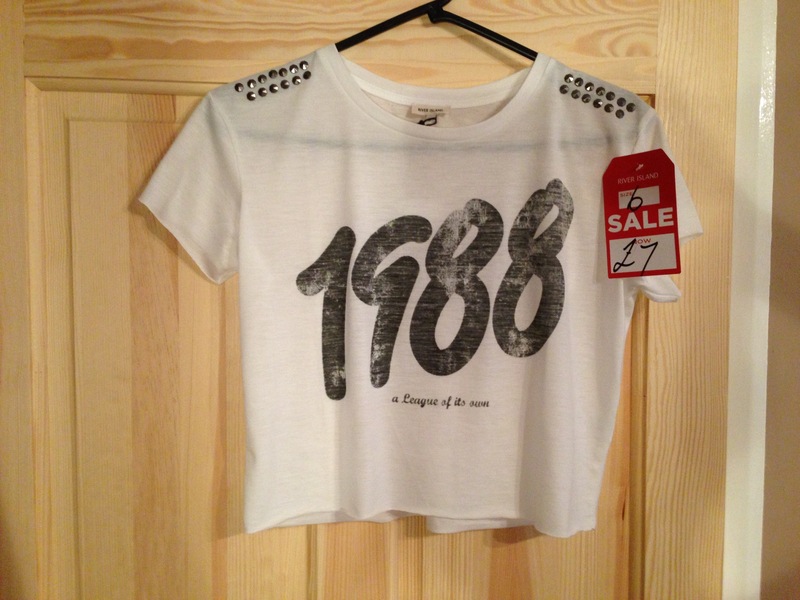 The next top is a crop top that caught my eye! To be honest, I actually got this TK wore to bed because I think it’s a lovely material and I like it for the hotter nights! I get BOILING hot at night! 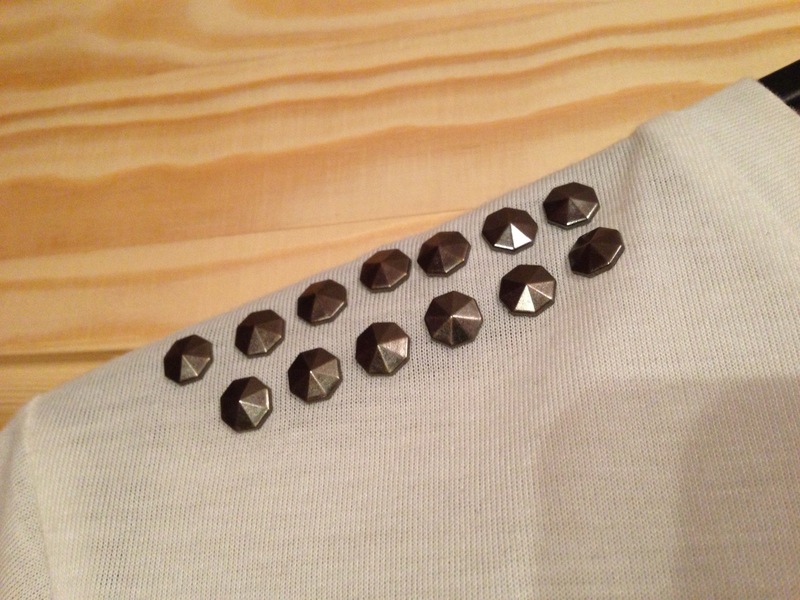 I love the studded detailing on the shoulders too! 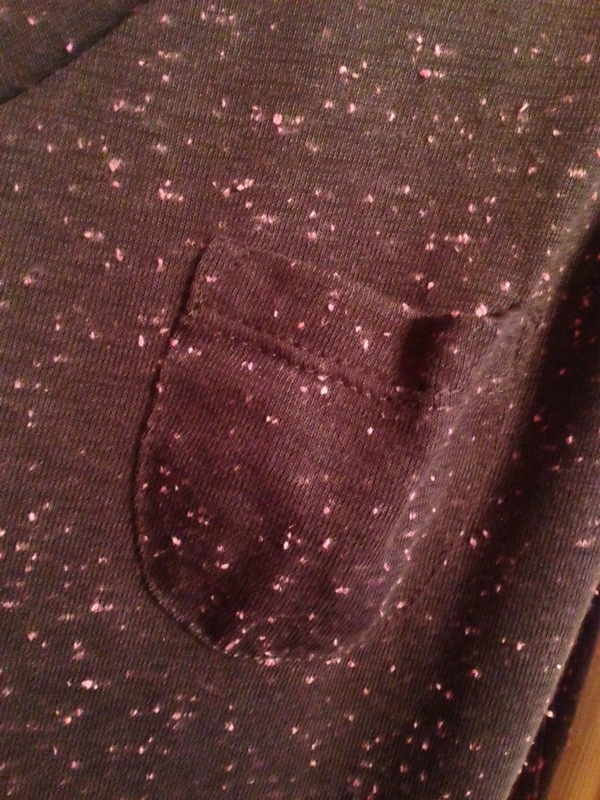 The next piece is a speckled too in one of my favourite colours at the moment! I think it looks great with any get up and to be honest, ill be tucking it into a maxi skirt for a pop of colour! 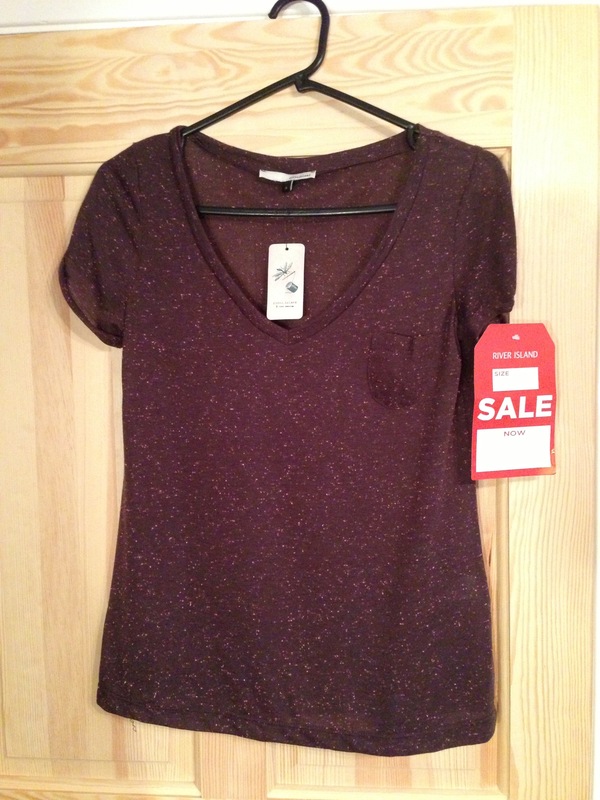 I love the speckled detailing and deep wine colour! 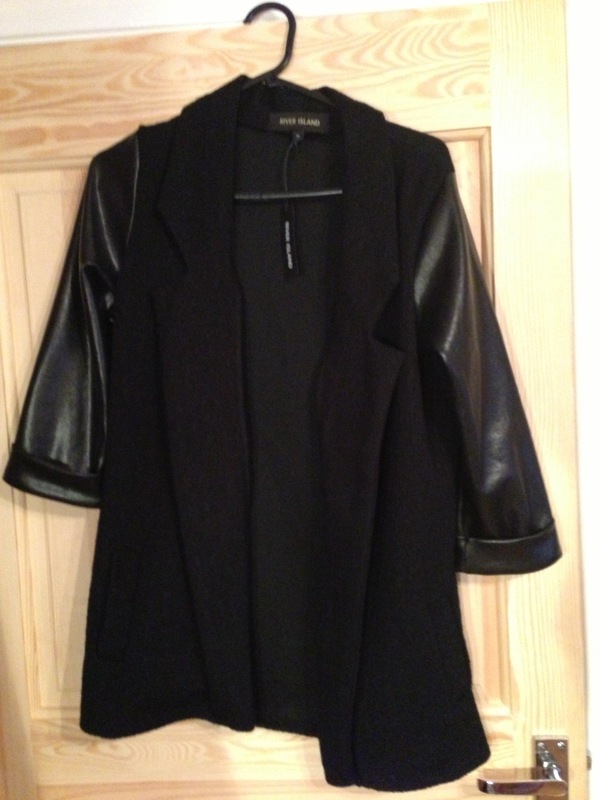 The next thing is a blazer style jumper which wasn’t in the sale section but I love it! The jumper is a knit material but has 3/4 sleeves in a wet look! The material is super comfy and although not warm, adds a touch of something different to the outfit! 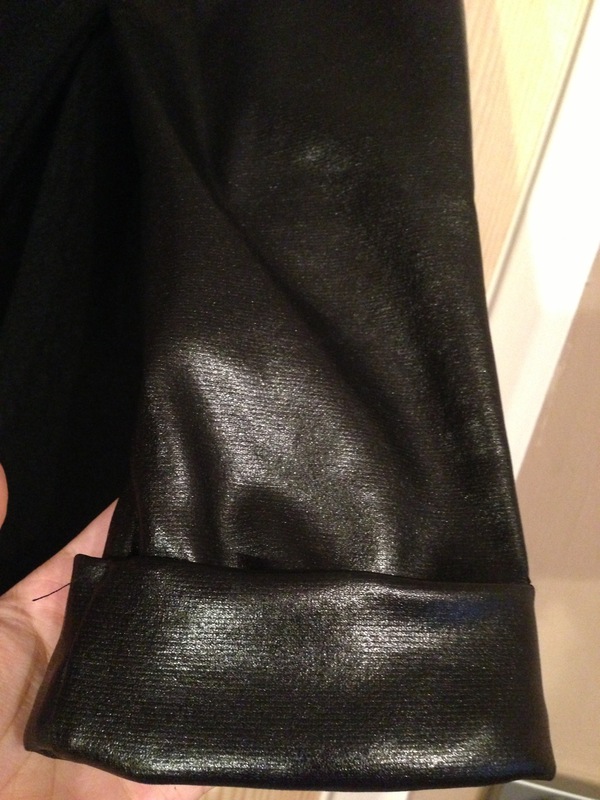 The sleeves are a wet look but not a stiff leather.. PERFECT! The next buy is my best pick of the bunch! I’ve been looking for a pair of winter boots for a while and when I saw these I HAD to grab them! They were lying in the shelf all by themselves so I picked them up! 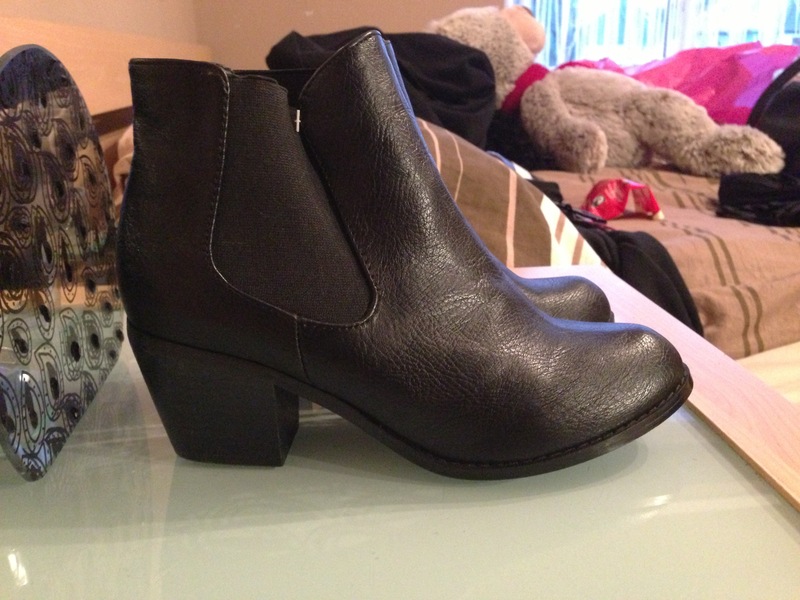 They are a lovely mid heel boot in a very simple leather! They are SUPER COMFY! 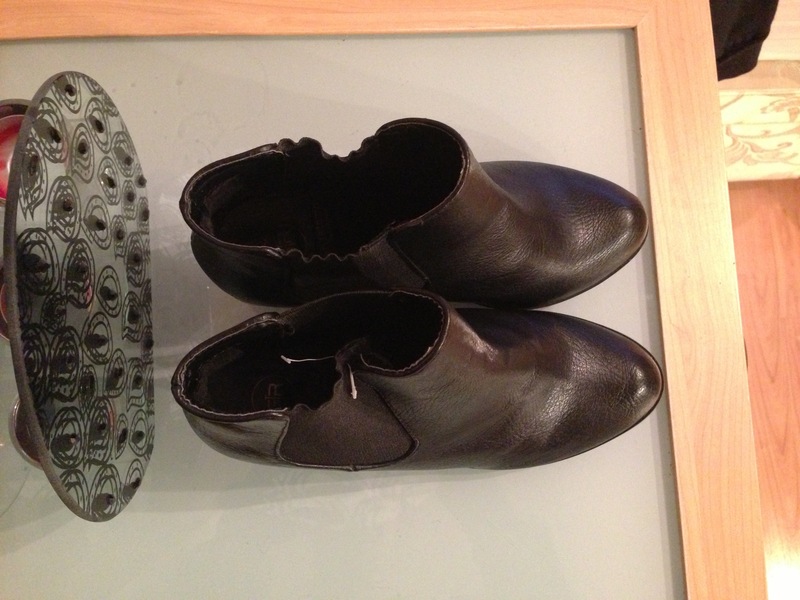 I love the shape of them at the front and the ankle length of the boots makes them very functional! These boots were £7.50!!!!!!!!!! Reduced from £35 and they’re in a size 5.